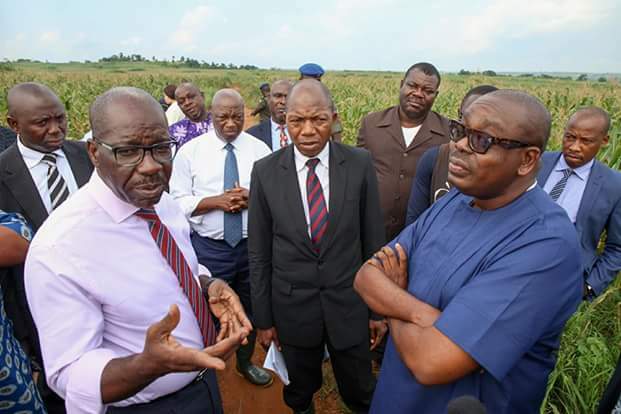 The Governor of Edo State, Mr. Godwin Obaseki on today inspected the 450 hectare maize farm, a Public Private Partnership (PPP) initiative of his administration with Saro – Agro Sciences Ltd to accelerate the mainstreaming of agriculture in the state’s economy. Speaking to journalists after a tour of the farm located in Sobe, Owan West Local Government Area, Obaseki who was accompanied by top government officials and the Managing Director of Saro AgroSciences, Mr. Oluwole Adeyegbe, charged youths in the state to embrace the initiative to enhance their socio-economic status. He expressed satisfaction that the first phase of the agriculture initiative was a success, noting that the second phase would commence in other parts of the state in the next planting season. According to him, the Acting President has promised to commission the fertilizer blending plant in Auchi which is an integral part of the Accelerated Agriculture initiative designed to create jobs in the state. 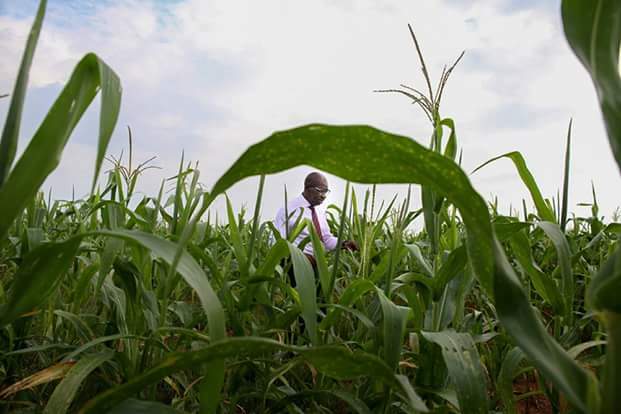 “We flagged off our Accelerated Agriculture initiative three months ago and this maize farm is a product of the initiative. There were few challenges encountered by the farmers and we will go back to the drawing board to ensure that there is significant improvement in the next phase," he said. He further affirmed that his administration adopted the PPP business model so that the youths for whom the programme was created could leverage on the expertise of major players in the agricultural sector and grow into big players themselves.